Washington (CNN) - It's nothing to brag about. 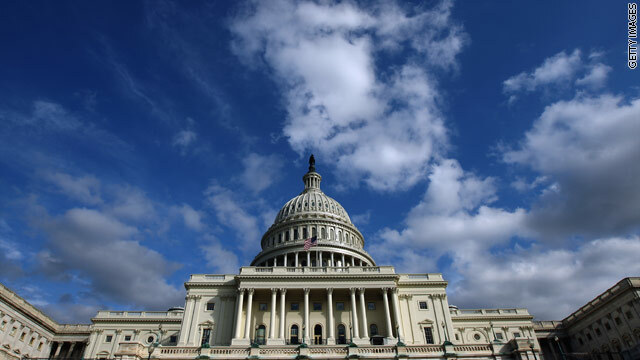 According to a new national poll, just 16% of Americans approve of the way Congress is handling its job, with 83% of those questioned in a CNN/ORC International survey saying they disapprove. The poll was released Tuesday. The approval rating for Congress has hovered between 11% and 17% in CNN polling over the past two years. And the new numbers are in the same ballpark as surveys conducted the past few months from other organizations. Control of Congress is split, with Democrats holding a majority in the Senate and Republicans the dominant party in the House of Representatives. "Conservatives, at 21%, are slightly more likely to approve of Congress than liberals and moderates, among whom approval of Congress is just 13 to 14 percent," said CNN Polling Director Keating Holland. "If you dislike an activist government, as many conservatives do, you're probably more willing to accept the go-slow approach that this Congress has been following. But that doesn't make the current Congress popular among conservatives - eight in ten conservatives also disapprove of what's been happening on Capitol Hill this year." The approval rating for Congress is much lower than that of the president. According to a CNN poll released Monday, 45% of Americans approve of the job President Barack Obama is doing in office. I did not like the lesser of 2 evils running in my district and did not vote for either one. The total sum of all the current scandals and misdeeds being committed today is a far greater threat to our liberty than any in the past, including Watergate (where Nixon merely "planned" to use the IRS to threaten his enemies and 30 government employees went to jail). Our current Congress, especially the Senate is absent. Where are the investigations, Special Prosecutors? Laws have clearly been broken. The Republican led congress keeps sending bills to the Senate that are DOA because the Democrats are in charge and they don't even see the need for a budget .... ever. Nothing has changed and there is no "90%." It's just a figure the media and politicians pulled out of their backsides. Yes. Which simply says.........the people of America have lost the ability to make any good rational choices in political candidates. So what you both are telling me is because a liberal press does not have the guts to print a story but a conservative one does, the story in no way, shape or form can ever be true. that what your saying? Well, the UK's daily mail ran the same story on 19 July 2012 and on 26 April 2013, they don't have a dog in this fight. The Washington Examiner ran the same story 19 July 2012 as well. Yet there is NO way this could be true simply because you could not find any liberal publication who had the guts to run this? OK, keep hope and change alive! Keep circling the wagons boys! What other wonderfully biased source will you cite? I'm merely applying the same kind of logic a rightie would to the situation: its called " irony". My five year-old already pointed out the holes in your logic, junior. By the way, its " researching", not " reearching". Thanks for playing, though. Excuse the typo Mr. English Professor. Attacking typos now? Either you ran out of argument or your getting a bit angry! PS happy that your 5 year old is interested in politics, Most young adults are not! 16%? I kind of expected 8 or 9%! about 1,000 people surveyed in this is the entire country feeling? why don't they just survey about 1,000,000 people instead. you would get much better percentages. and when are we going to start putting pressure on Congress to sign into law term limits? ?